The Mursi are small ethnic group, numbering 6000 people, who live on the east side of the Omo river in Ethiopia. 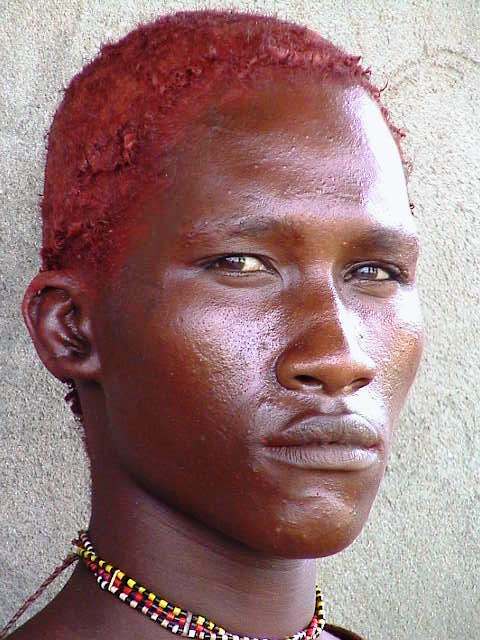 They are relatives of the Surma, who occupy the west side of the same river, and speak the same language. The ceremony called Korda Koma, meaning ‘piercing [the ground] with the knees (koma)’, exactly what you see in this photo.. This is the last day of long initiation ceremony, that meant to transfer the boys from childhood to adulthood. The boys arrive naked, their body smeared with mud and while kneeling, the older age-group (standing) discipline them not only verbally, but by whipping them with the long sticks (called donga). At the end of this initiation ceremony, each boy will be entitle to own donga stick, symbol of his maturity and membership in the Mursi society. The Korda Koma ceremony took place in 2013, long 22 years after the previous one (1991)!